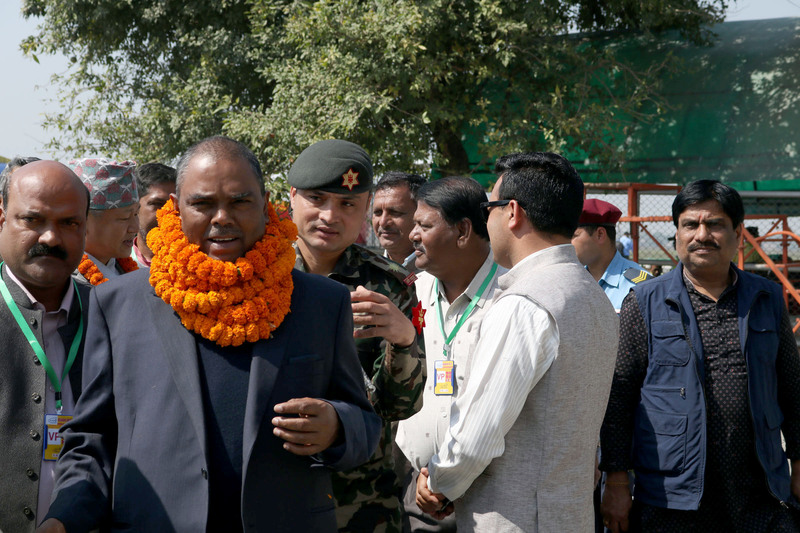 BIRATNAGAR, March 17: Deputy Prime Minister and Minister for Health and Population, Upendra Yadav, has said he had not thought right now to leave the government. Talking to media persons at Biratnagar airport here today, DPM Yadaav reiterated that his party had not thought at all to quit the government, but would continue serving people from within the government. The government was made along with RJPN in State 2 as per the aspiration of Tarai people, he reminded, adding that his party had written to the RJPN for creating a new force, but did not receive any response yet. However, FSFN has not taken it negatively, he added. Moreover, he made it clear that the referendum was nowhere mentioned in the agreement the government made with CK Raut. Referendum and people's mandate are different terms, according to him. 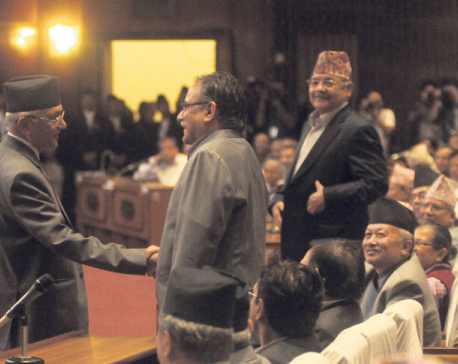 As he said CK Raut's acceptance of the country's integrity and sovereignty is positive.